As the new business development manager for WGL Energy, Ritorto knows he can reduce energy costs for those owners. WGL Energy offers efficient and environmentally-friendly energy supply and technology solutions to its customers, from natural gas and electricity to renewable energy and carbon reduction. The Expo’s location in Philadelphia this year is particularly timely for WGL, which is looking to expand its regional presence with a new office in center city Philadelphia. The Expo, set April 25, takes place at the Arts Ballroom on Locust Street in Center City. This will be Ritorto’s second year at the Expo as he continues to talk with restauranteur and hospitality business owners and industrial customers about how to reduce energy consumption and achieve lower energy expenses. Working with Expo creator and organizer Paul Kotrotsios, Ritorto has already been able to help more than 40 clients associated with the expo save on their utility bills. “We’ve been able to provide over $300,000 in annual savings for the network so far,” he says. “I provide an analysis based on what we’re able to do for them, both pertaining to electricity and natural gas utilities, and beyond that we have a larger conversation regarding sustainability, and which technologies or products can help them with sustainability,” Ritorto says. Many of the clients come from the Brandywine Restaurant Association or are Hellenic News of America customers, Ritorto says. Last year, he was able to finalize and agreement with a customer at the Expo in Concordville PA. “From a business perspective, we saw an almost immediate return on our investment from participating with the Expo, while helping deliver significant savings to the end user” he says. 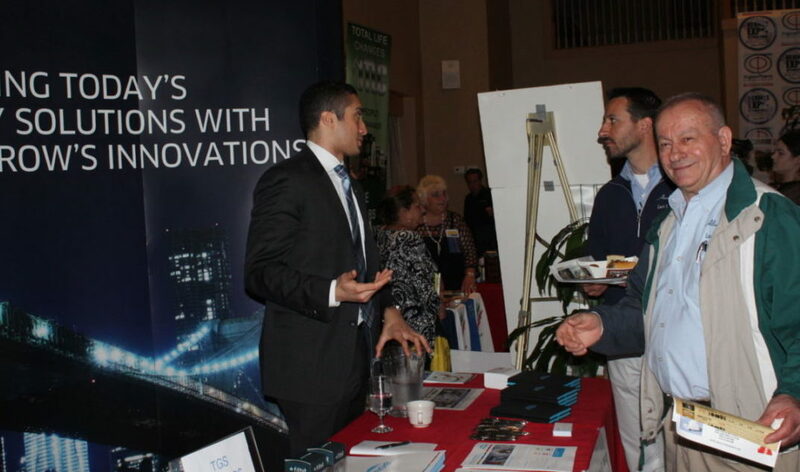 The Expo gives a chance for Ritorto to keep in touch with his contacts and communicate his services to potential customers, even if they are currently engaged in energy supply contracts. That can lead to follow up conversations and connections, he says. Even better, the Expo allows past happy customers to mingle with strangers, “that are only going to say good things about the company and about Paul’s integrity, my integrity and the lengths we’ll be willing to go to keep customers happy and help clients to continue to make educated decisions on energy consumption and spend,” Ritorto says. Last year, Ritorto hosted a booth, interacted with customers and attended the awards dinner. “It’s just an incredible day of networking,” he says. He will be hosting a booth again this year. WGL is planning to be a sponsor.